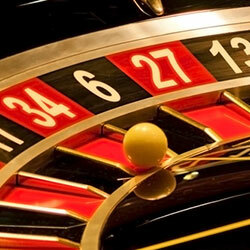 The Hollandish roulette method is a simplistic strategy for betting on the roulette table. Suitable only for wagering on even chance bets, the method is a negative progression system, meaning that you increase the amount of your bet after you lose rather than after you win. You choose to bet $1 on the blacks. You would place this bet three times and keep track of your wins and losses. If you win two or three times, you would repeat Step One. If you lose all three times or win only once, you would move onto Step Two. Now, you would increase your bet by 2 times $1 or $2, so you would bet $3 three times. If you end up profitable, you would return to Step One. If you do not end up profitable, you would move onto Step Three. Now, you would increase your bet by $2 again, so you would bet $5 three times. If you end up profitable, you would return to Step One. If you do not end up profitable, you would increase your bet according to the sequence and continue to play until you were profitable. You are not profitable so you move on. You are now profitable and have won over the roulette, so you would return to the first progression and start all over again. If you lost again in spin three, you would begin a fourth progression and bet 7 instead of 5 three times. The main benefit of the Hollandish method is that you progress slowly. It takes more time to begin wagering large amounts compared to methods like the Labouchere Roulette system, but you still don’t need to win as many times as you lost to recoup your money. Even though the Hollandish method can work, it does have some drawbacks. The biggest problem with the roulette method is that if you lose too many times in a row, your losses will quickly accumulate and play becomes very risky because you will need a long winning streak to put you back in the black. Another problem with the strategy is that it is slow going. You will need to play a long time to make only a little amount of money. Before you try the Hollandish strategy at a land based casino or online casino, a good roulette tip is to establish a goal for winning and a budget for losing. This way, you will know when to walk away from the table and when you can no longer afford to risk losing. 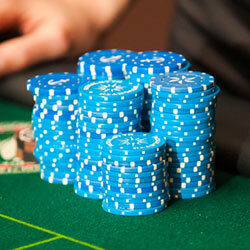 Some players may feel comfortable allowing their bets to reach $15 or $20 or even more per spin. Others may not want to allow progressions to get that high. You can see for yourself how the Hollandish strategy works by trying it out at an online casino.